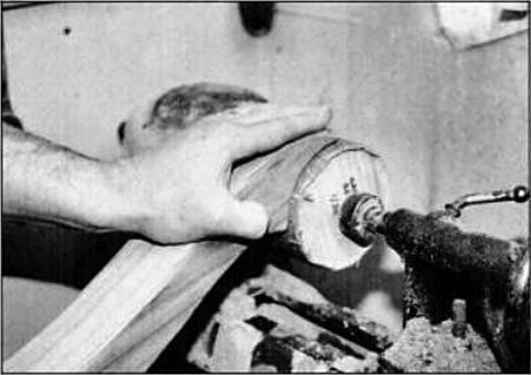 As the joint flexes, or as the wood expands or contracts due to wood movement, the screw threads crush the wood fibers surrounding them. There are two options for overcoming the problem. The first and best option is to cut snugly fitting wooden joints and select the proper adhesive for your application. In your case, epoxy is a good choice, since the furniture is outdoors. I've had good luck with West System Brand Epoxy (available from Gougeon Brothers, 517-684-7286). While the wood continues to move, the fibers remain crushed, resulting in gaps around the threads. The screw becomes loose and weakens the joint. board, but their thin, deep threads can hold their ground anywhere there's a lot of force. But even these screws can't beat a good wood-to-wood joint. Andy Rae AW senior editor scratches, and replaced them with a finer scratch pattern. Alternate sanding directions each time you change to a finer grit. In each case, eliminate all coarser scratches before you progress to a finer grit. When you're ready to sand with the finest-grit paper, it's time to sand the wood with the grain. Any fine scratches that are left will be obscured by the wood grain.